ѕроект Vision Quest посв¤щен сбору средств на лечение слабовид¤щих детей из —ибири. ¬ разделе Recipients вы можете увидеть лишь небольшую часть воспитанников детского дома є39 дл¤ слабовид¤щих детей, тех, кто сейчас нуждаетс¤ в нашей помощи. ћы хотим помочь этим дет¤м увидеть мир своими глазами. 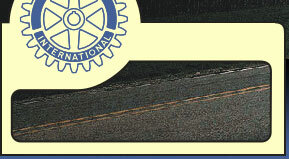 This site is devoted to a unique project realized by Rotary Club "Novosibirsk-Initiative". The project is aimed at raising money to help Siberian children with poor eyesight. 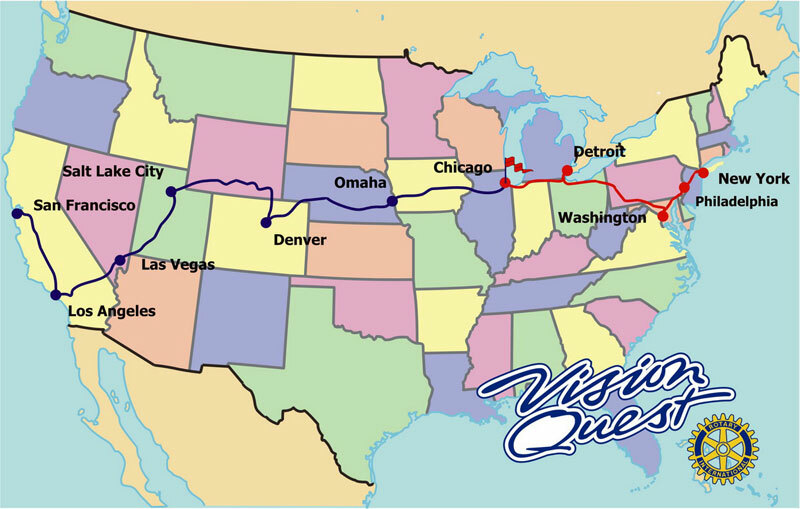 In the course of the project the group of five people is going to cross the USA by car from New York to San Francisco, meet thousands of people, carry out a number of presentations for American Rotary Clubs. We want to see the world and we want to make it possible for the others to see it! The idea of the project Vision Quest occurred to one of the "Novosibirsk-Initiative" club members when he as usual glanced at the map of America while rocking his little son to sleep. Having been celebrated in the masterpieces of Jul Verne and Mark Twain, that childhood dream to cross the far continent from one ocean to another suddenly started coming true. In comparison with the travelers of the nineteenth century the desire has appeared not only to contemplate nature of the continent but also to go sightseeing in the most famous cities in the USA. Russian people are pleased with the names of such cities as New York, Chicago, Los Angeles and San Francisco. The author speaking his mind, the idea was supported. It was accepted and got a stimulus to a further development. Developing the journey route the organizing body has concluded that on the one hand a simple journey around cities doesn't give the idea of the country and its culture, but on the other hand while traveling you remember people, their customs, habits, hospitality, jokes and arguments. We want to meet different people, to communicate, to argue, to share our experience and thoughts as well as to cross the country and to go sightseeing. What exactly has the spirit of the country is a motor-car journey. You can experience freedom in choosing, independence of external obstacles, unpredictability and hope in your own abilities. What else can make an impression be sharper? The team is the most important in any serious activity. Only a solid team of like-minded people can overcome such obstacles as physical tiredness, the long lack of comfort, a frequent change of environment and unpredictability. Our team is beyond question. Rotary Club has the strict entrance rules and is suitable to form a team of people who see eye to eye and treat the world around us in the same way. If you approach the question wider, where can you meet like-minded people but in Rotary Clubs? Where else can you find a lot of friendly caring people who can understand the pain of others, appreciate the wish to improve this world at its true value, and who are able to serve not only their own interests? So, we've made up our mind! We'll do it! We're going to drive as a real team. We're going to drive by car across the unknown country - America, to meet people, like-minded people from our clubs. Come on! How was our aid program created? In the course of our activity we help people (especially children) who can't get medical or social assistance in a usual way by means of insurance funds and the state support for a specified purpose. We've already helped children suffering from cardiological and oncological diseases, paid for brain surgery. In the beginning when we planned our journey we wanted to devote it to raising money for one child who needed an expensive surgery. However, at some instant we've realized that there're many children who need to have a relatively cheap surgery performed but the state as well as parents don't have any money for it. That's how the idea of the aid program helping children with poor eyesight appeared. Nowadays there're 22 children of different ages on our list who are waiting for the surgery to be performed. The surgery performed with the money raised by Rotary Club members is a real chance for those children. The chance to see the world in all its beauty, the chance to make friends, to find love and real friends. It's a chance to live THE real life. The project team consists of 5 people age of 30-35 who are Rotary Club "Novosibirsk-Initiative" members and their families are among them. Speaking about the Rotary movement in Siberia and the realized projects of our club. Speaking about our special program to help children with poor eyesight whom we raise money for. During our meeting we raise money for our program. The money raised during the project Vision Quest will be aimed at the treatment of children in Siberia who have problems with eyesight. We expect overall assistance of our project. We'll be happy to get any material and non-material help from arranging meetings with clubs in your cities to bringing the project participants into Rotary Club members' families. See you!